“I never wanted to own a winery,” says Andrew Tow, and yet he also claims The Withers Winery as a passion project 35 years in the making. It’s a process that, through a series of fortunate events, both chance and purposeful encounters, and good old-fashioned hard work, has evolved as organically as The Withers wines themselves. A salesman by profession, wine was always a hobby for Tow. He’d spend his free time tasting, learning, collecting, and even traveling to the locations with the wines that most intrigued him. And through his travels, he not only made a connection between his palate and preferred flavor profiles, he made personal connections — meeting the faces behind the wine names he’d come to love. Admittedly, Tow wasn’t always a fan of California wines, finding more nuance and realism in the Old World wines of Southern France and Italy. Though he did travel to California to taste and learn what the New World had to offer, and even attempted to purchase a vineyard to further immerse himself in the grass-roots perspective on wine. But that plan wasn’t meant to be, and Tow stuck a pin in the idea of ever become a part of the industry, favoring, instead, to continue to taste and learn as a dedicated hobby. It wasn’t until Tow tasted samples from Sonoma’s Anthill Farm Winery that his interest in California wine and winemaking truly piqued; the creator of these wines was another connection he’d have to make. With the gumption of any good salesman, Tow made a call to Anthill and asked to meet winemaker David Low at the winery. Tow remembers Low being pretty laissez faire about the whole thing, but when the two finally met, they formed an immediate bond — over activities, music, and — of course — wine. Low has been in the wine industry for years, working inside big name wineries like William Selyem, Papapietro Perry, and then co-founding his own award-winning Anthill Farms Winery, where he is chief winemaker. As friends, the two enjoyed what Tow now calls “an innocent conversation over drinks,” in which Low agreed to help Tow make his own wine, simply for fun and personal consumption. Friends and family had nothing but high praise for the wine Tow started bringing to dinner parties and events, asking who the producer was and “Why doesn’t this bottle have a label?” With so many compliments, Tow decided to see if the product of his and Low’s partnership would be of interest on the commercial level. A native New Yorker, Tow had (still has) many connections in the food and wine industry, so he brought some of his wines to retailers and restauranteurs in the city, only to find there was mass appeal for this, as of yet, un-named wine. Although Low cautioned Tow “quite heavily” about starting a wine business, Tow hung on to his entrepreneurial spirit, raising enough money through friends and family to create and brand their first The Withers Winery vintage in 2013. In just these short 3 years, The Withers Winery has garnered high praise from all the big name media outlets you can think of. (And, yes, Tow finally has his own little piece of Cali wine country in El Dorado County.) 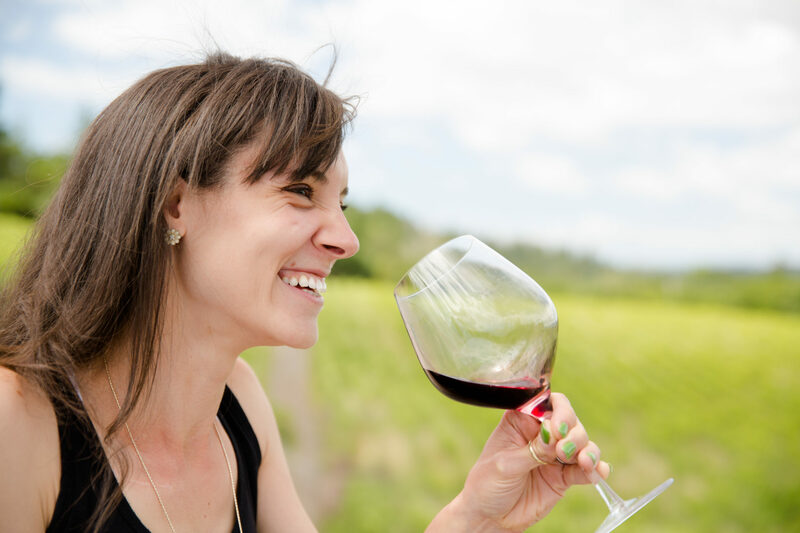 Their specialties are cool-climate wines, sourcing from the Sonoma Coast for California classics, Pinot Noir and Chardonnay, and the Sierra Foothills for their Rhône varietals. Stylistically, the wines are always mimicked after those Old World wines that first enraptured Tow — using all native fermentation, neutral French oak aging, and minimal intervention winemaking techniques. To talk to Tow, it’s clear that the success of this business comes nothing short of a surprise. In his eyes, he’s simply creating the wines that he enjoys sharing with other people. And, at the end of the day, that’s what The Withers wines are all about. People. The connections we make — whether while learning, making, or drinking.